Today marks our 2 year wedding anniversary and tomorrow we embark on another “honeymoon” trip to Africa! Since our first honeymoon in St. Lucia, we knew we wanted to celebrate a honeymoon every year. Last year we spent the summer in Europe and celebrated our anniversary a little early at the Grotta Palazzo restaurant in Puglia, Italy. Now we are going to our third continent and adding four more countries to our list. Since we met, we have done nothing but create memories through destinations. We could not ask for better partners to not only enjoy life together, but to also go on unique trips throughout the world. It is one thing to find your partner, but another to find your travel partner. To celebrate our love, we want to share travel couple bloggers who inspire us with their love in each other and traveling. Each couple is different than the next. They all have amazing content and love for one another. Some may focus on food and travel tips while others may focus on lifestyle and photography. Everyone’s personalities shine throughout their blog, but really shine bright in their About page. You will find their About page hyperlinked into their title. We have also included their niche (besides love and travel), a romantic or adventurous article and their social media platforms to follow – trust us, you are going to fall in love with each one of these couples. We got married in 2015, therefore I am going to share 15 travel couple bloggers you should follow! But first, here are two wedding pictures to celebrate our two year wedding anniversary. Here is to many more years full of travel, life and blogging! Kallsy and Logan strive to have a lifetime filled with experiences and visiting places they have never been before. Their website is a place for them to share their stories of the beautiful places they visit, and the wonderful people they meet. They hope to inspire others to travel with them and share their experiences as well! We can certainly say they have inspired us and we hope to spend some time with them in St. Louis. Their niche: travel tips, travel itineraries and tech gear. Click here to read their 7 day, luxury honeymoon at Sandals Ochi Beach Club in Jamaica. Mat and Ling’s website, Linger Abroad is all about reliving the best travel moments through photography, sharing their experiences and hopefully inspiring those to take the leap and go somewhere new. Ling is a fantastic photographer and any reader can see that every photo captures their moments beautifully. Their website is more than a travel blog, it is an art gallery. Click here to read their premier honeymoon resort in Fiji. Madi and Ben have been to countless countries, some before they met, and others during their relationship. They believe in immersing themselves in the cultural of the countries or cities in which they are visiting. They do their best to eat local cuisine, participate in local tours, and get lost as much as possible. Their goal of The Restless Worker is to expose their readers to new destinations, new landmarks and new ideas for discovery. Click here to read how they met and fell in love – it is beyond adorable! What we love most about Brian and Amanda, is that they are just like us – their jobs consume most of their days, but they are determined to make the most of their time outside of the office! They are also always up for trying new adventures as well as tasting different cuisines and libations. Though they are conservative in their daily lives, they are risk takers when they are traveling! Daryl and Mindi are a married couple that quit their 9 to 5 job and are currently traveling the world one meal at a time. They are seriously the cutest travel foodie couple! Their travel-foodie journey has taken them to some of the best food cities in the world in countless countries. In addition to their love of food, their website also has great hotel reviews, guides and more. Bassam and Lena strive to find adventure in everyday life. In addition to their love of travel, they both have a keen eye and big interests in home decor, entertaining, cooking, exploring their city, L.A. and outdoor activities. One reason we enjoy following them so much is because we relate to their travel lifestyle. They always figure out how to travel often, stay at nice places, and experience fine dining while not over spending. Their website is full of love, passion and travel – we know you will fall in love with them, just as we have. Craig is a doctor and Leigh is a lawyer making them a powerhouse couple! Even with their busy careers they find time to pursue their love for travel. 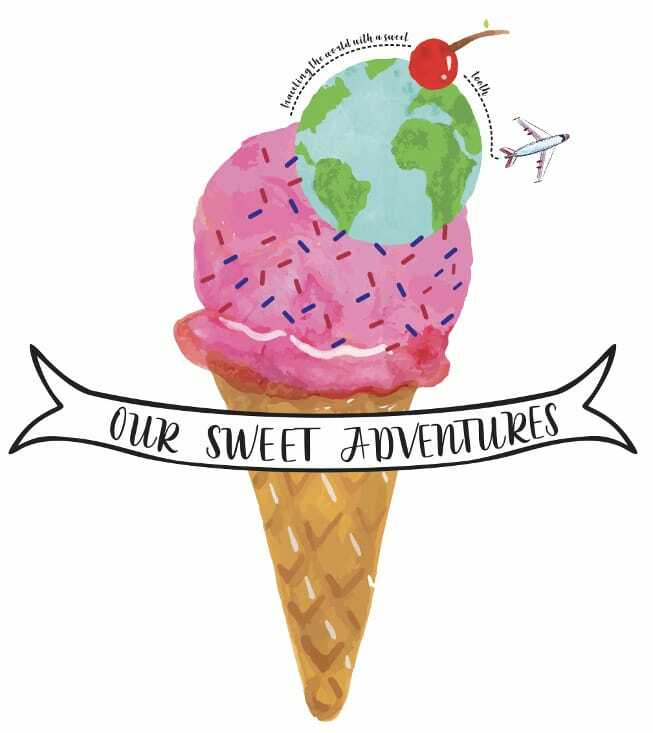 Their blog focuses on all of their adventures to inspire their readers to take their next trip. They are also big foodies and coffee snobs, so in their adventures you will find great tips on delicious food and coffee destinations. Their niche: culinary travel, coffee, lifestyle and their hometown, Edmonton. Liaremy (yes, they combined their names, which is a tiny bit gross but also SUPER cute!) are on a year-long honeymoon. They use their travel blog to document their journey, which seems to primarily consist of total fails and mishaps. Like the time Lia had to get rescued off of a waterfall in Colombia. Or the time Jeremy ran a BMW into a castle in France. We encourage everyone to follow this disaster-prone couple along on their awesome honeymoon adventure! First and foremost, Karen and Jacob are cat lovers – love it! They also love experiencing new cultures/food, exploring new natural landscapes/seeing wildlife (can be cats), and seeing new types of architecture. They moved from the United States to Amsterdam and will soon to live in Paris. They have been enjoying the opportunity to travel every chance they get. Their website is a wonderful place to find inspiring stories and practical advice about travel, moving abroad, expat life, adventure travel, and via ferret (a form of rock climbing). Bryan and Anna are two young travelers trying to see as much as the world as possible. Their website is dedicated to documenting their adventures, but also to motivate others to get out see the world. They want to share how they’ve been able to travel better and smarter using a combination of reward points and travel deals. Claire and Danik are avid adventure seekers! Their website features adventures of their cycling, hiking, running, scuba diving and more. They have a great appreciation for our beautiful planet and love learning about local cultures, food, languages, as well as taking in amazing experiences. They are an all around awesome travel couple! Click here to read their post on a romantic vacation chasing the Northern Lights in Finland. Kelly and Sean focus on showing couples & travel partners great things to do together and places where they can get incredible photos to frame at home. They also both work full time and want to show other couples that it’s possible to work AND travel – we agree! To feed their travel obsession, they love to sneak away for long weekends every chance they get and explore England when they can’t go too far. Long story short, they live their life to the fullest by traveling every chance they get! Kerry and Claire sold their home and quit their jobs to live in a new way – a way of travel. They now focus on the importance of doing what makes them feel content and motivated, which is writing, traveling and working on building a new future together. A quick peek into their blog and you will find great advice on both travel and everyday life. Meghna and Pushkaraj want to inspire their audience to wander abroad through their articles. They want to take their readers on a whirlwind of fancy luxurious indulgences, while also sharing tips on how to keep the balance in check. They divide and conquer their blog together, Meghna writes and is a beautiful storyteller, while Pushkaraj captures stunning photos. Together they have a great website that is going to grow tremendously! Alex and Cris share a passion for traveling, photography and discovering new, interesting places. Combined, they have years of traveling experience and everything that encompasses traveling – freelance writer, travel consultant and travel support specialist. Needless to say, they are basically pros at everything travel related! They also have another awesome blog, LooknWalk Greece, which focuses primarily on Greece – it’s the perfect place to start planning for your next couples getaway. I hope you loved these travel couple bloggers as much as we do! Happy Anniversary! Happy to be included in your list of 15 couple travel bloggers! So much great travel inspiration and knowledge in this list, thank you for the inclusion! Loved this post! So funny to be introduced to many amazing couples bloggers! Thanks so much for including us! Such a great bunch of couple bloggers here. I especially love the Praactical Wanderlust bloggers. As a travelling blogging couple ourselves we love to find likeminded couples doing the same thing. Thanks for sharing these great bloggers. Congrats on your wedding anniversary! My husband and I are currently celebrating our 10th year of marriage and 3rd year of nomadism. 🙂 All these couple travelers are new to us, so this is great! Wow! That is incredible – congratulations!!!! I haven’t heard of but can totally relate to Brian and Amanda of Eat Work Travel. That’s exactly how we are too, my husband and I both have full time jobs that keep us super busy but it’s always a priority for us to look for the next opportunity to travel. Searching for a new adventure as frequently as we can is so important ! This is an interesting list of bloggers thanks for sharing ! Aww thank you so much! Sorry to get back to you so late, we were on vacation 🙂 We went to Phinda Game Reserve and Johannesburg in South Africa. Then we went to Zambia for four nights, but traveled to Zimbabwe and Botswana for other activities. It was the best trip ever! Aww I absolutely love Claire & Danik! There’s definitely a few couple bloggers in here I hadn’t heard of, so I’ve followed a few on twitter! We too are a couple of travel bloggers, and although we already follow a few, there’s some there that we’re definitely going to look at! Enjoy making those memories guys! Aww thank you so much! This has been a huge success, so maybe we can feature y’all next year! Oooh! I’ve only heard of two/15 of the couple travel bloggers on here. It’s nice to see couples who travel together. I hope to meet my travel partner someday, too! BTW, did you know the gay couple from Nomadic Boys? They inspire me a lot <3 So much love! Thanks for sharing this post. We ourselves are couple travellers. glad to know list of fellow couple travellers. will followthem on social media. Thats awesome! Yay to travel couple bloggers 🙂 Enjoy your journey together! This post was so heartwarming, and it was awesome to see some familiar faces on here 🙂 My boyfriend is currently in medical school so he isn’t able to travel as much as I do, but I hope one day I can take him on more adventures! We are happy to hear you enjoyed it! Kallsy and Logan of Pages of Travel have been in your shoes. Logan is now in his residency I believe and they make traveling work! You should contact them if you have any questions! You have a lot of inspiration now! 🙂 And yes, we highly recommend a vacation to St. Lucia, it was amazing!!! Great post for us because we are couples travel bloggers too. So it’s fun to follow others!! That is awesome, hopefully we can include y’all next year! So great to see so many people travelling together. Fascinated by how they are all younger travellers, well younger than us ?. We are in our late forties and fifties having given up everything for a life in the road ready to feed our adventurous souls. If you ever do another blog like this one, which is great, we would love to feature as an older couple fulfilling our wanderlust and writting about it. Awesome list you put together! I love traveling and love to read travel blogs! Thank you. We are delighted to hear you enjoyed our post.